Joanne "Jo" Rowling, OBE, FRSL (/ˈroʊlɪŋ/; born 31 July 1965), pen names J. K. Rowling and Robert Galbraith, is a British novelist, screenwriter and film producer best known as the author of the Harry Potter fantasy series. The books have gained worldwide attention, won multiple awards, and sold more than 400 million copies. They have become the best-selling book series in history and been the basis for a series of films over which Rowling had overall approval on the scripts and maintained creative control by serving as a producer on the final instalment. Born in Yate, Gloucestershire, England, Rowling was working as a researcher and bilingual secretary for Amnesty International when she conceived the idea for the Harry Potter series while on a delayed train from Manchester to London in 1990. The seven-year period that followed saw the death of her mother, birth of her first child, divorce from her first husband and relative poverty until she finished the first novel in the series, Harry Potter and the Philosopher's Stone, in 1997. There were six sequels, the last, Harry Potter and the Deathly Hallows, in 2007. Since then, Rowling has written four books for adult readers, The Casual Vacancy (2012) and—under the pseudonym Robert Galbraith—the crime fiction novels The Cuckoo's Calling (2013), The Silkworm (2014) and Career of Evil (2015). Rowling has lived a "rags to riches" life story, in which she progressed from living on state benefits to multi-millionaire status within five years. She is the United Kingdom's best-selling living author, with sales in excess of £238M. The 2016 Sunday Times Rich List estimated Rowling's fortune at £600 million, ranking her as the joint 197th richest person in the UK. Time magazine named her as a runner-up for its 2007 Person of the Year, noting the social, moral, and political inspiration she has given her fans. In October 2010, Rowling was named the "Most Influential Woman in Britain" by leading magazine editors. She has supported charities including Comic Relief, One Parent Families, Multiple Sclerosis Society of Great Britain and Lumos (formerly the Children's High Level Group). Although she writes under the pen name "J. K. Rowling" (pronounced rolling), her name, before her remarriage, was simply "Joanne Rowling". Anticipating that the target audience of young boys might not want to read a book written by a woman, her publishers asked that she use two initials rather than her full name. As she had no middle name, she chose K (for "Kathleen") as the second initial of her pen name, from her paternal grandmother. She calls herself "Jo". Following her marriage, she has sometimes used the name Joanne Murray when conducting personal business. During the Leveson Inquiry she gave evidence under the name of Joanne Kathleen Rowling and her entry in Who's Who lists her name as Joanne Kathleen Rowling. Rowling's parents met on a train from King's Cross Station. After Rowling used King's Cross as a gateway into the Wizarding World, it has since become a popular tourist spot. Rowling was born to Peter James Rowling, a Rolls-Royce aircraft engineer, and Anne Rowling (née Volant), a science technician, on 31 July 1965 in Yate, Gloucestershire, England, 10 miles (16 km) northeast of Bristol. Her parents first met on a train departing from King's Cross Station bound for Arbroath in 1964. They married on 14 March 1965. One of her maternal great-grandfathers, Dugald Campbell, was Scottish, born in Lamlash on the Isle of Arran. Her mother's paternal grandfather, Louis Volant, was French, and was awarded the Croix de Guerre for exceptional bravery in defending the village of Courcelles-le-Comte during the First World War. Rowling originally believed he had won the Légion d'honneur during the war, as she said when she received it herself in 2009. She later discovered the truth when featured in an episode of the UK genealogy series Who Do You Think You Are?, in which she found out it was a different Louis Volant who won the Legion of Honour. When she heard his story of bravery and discovered the croix de guerre was for "ordinary" soldiers like her grandfather, who had been a waiter, she stated the croix de guerre was "better" to her than the Legion of Honour. As a child, Rowling often wrote fantasy stories which she frequently read to her sister. Aged nine, Rowling moved to Church Cottage in the Gloucestershire village of Tutshill, close to Chepstow, Wales. She attended secondary school at Wyedean School and College, where her mother worked in the science department. When she was a young teenager, her great-aunt gave her a copy of Jessica Mitford's autobiography, Hons and Rebels. Mitford became Rowling's heroine, and Rowling read all of her books. Rowling has said that her teenage years were unhappy. Her home life was complicated by her mother's illness and a strained relationship with her father, with whom she is not on speaking terms. Rowling later said that she based the character of Hermione Granger on herself when she was eleven. Steve Eddy, who taught Rowling English when she first arrived, remembers her as "not exceptional" but "one of a group of girls who were bright, and quite good at English". Sean Harris, her best friend in the Upper Sixth, owned a turquoise Ford Anglia which she says inspired a flying version that appeared in Harry Potter and the Chamber of Secrets. At this time, she listened to the Smiths and the Clash. Rowling took A-levels in English, French and German, achieving two As and a B and was Head Girl. In 1982, Rowling took the entrance exams for Oxford University but was not accepted and read for a B.A. in French and Classics at the University of Exeter. Martin Sorrell, a French professor at Exeter, remembers "a quietly competent student, with a denim jacket and dark hair, who, in academic terms, gave the appearance of doing what was necessary". Rowling recalls doing little work, preferring to listen to The Smiths and read Dickens and Tolkien. After a year of study in Paris, Rowling graduated from Exeter in 1986 and moved to London to work as a researcher and bilingual secretary for Amnesty International. In 1988, Rowling wrote a short essay about her time studying Classics entitled "What was the Name of that Nymph Again? or Greek and Roman Studies Recalled"; it was published by the University of Exeter's journal Pegasus. After working at Amnesty International in London, Rowling and her then boyfriend decided to move to Manchester, where she worked at the Chamber of Commerce. In 1990, while she was on a four-hour-delayed train trip from Manchester to London, the idea for a story of a young boy attending a school of wizardry "came fully formed" into her mind. When she had reached her Clapham Junction flat, she began to write immediately. In December, Rowling's mother Anne died after ten years suffering from multiple sclerosis. Rowling was writing Harry Potter at the time and had never told her mother about it. Her death heavily affected Rowling's writing, and she channelled her own feelings of loss by writing about Harry's own feelings of loss in greater detail in the first book. 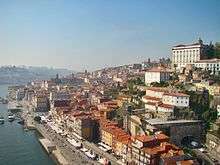 An advertisement in The Guardian led Rowling to move to Porto, Portugal, to teach English as a foreign language. She taught at night and began writing in the day while listening to Tchaikovsky's Violin Concerto. After 18 months in Porto, she met Portuguese television journalist Jorge Arantes in a bar and found they shared an interest in Jane Austen. They married on 16 October 1992 and their child, Jessica Isabel Rowling Arantes (named after Jessica Mitford), was born on 27 July 1993 in Portugal. Rowling had previously suffered a miscarriage. The couple separated on 17 November 1993. Biographers have suggested that Rowling suffered domestic abuse during her marriage, although the full extent is unknown. In December 1993, Rowling and her then-infant daughter moved to Edinburgh, Scotland, to be near Rowling's sister with three chapters of what would become Harry Potter in her suitcase. Rowling was left in despair after her estranged husband arrived in Scotland, seeking both her and her daughter. She obtained an Order of Restraint, and Arantes returned to Portugal, with Rowling filing for divorce in August 1994. She began a teacher training course in August 1995 at the Moray House School of Education, at Edinburgh University, after completing her first novel while living on state benefits. She wrote in many cafés, especially Nicolson's Café (owned by her brother-in-law, Roger Moore), and the Elephant House, wherever she could get Jessica to fall asleep. In a 2001 BBC interview, Rowling denied the rumour that she wrote in local cafés to escape from her unheated flat, pointing out that it had heating. One of the reasons she wrote in cafés was that taking her baby out for a walk was the best way to make her fall asleep. In 1995, Rowling finished her manuscript for Harry Potter and the Philosopher's Stone on an old manual typewriter. Upon the enthusiastic response of Bryony Evens, a reader who had been asked to review the book's first three chapters, the Fulham-based Christopher Little Literary Agents agreed to represent Rowling in her quest for a publisher. The book was submitted to twelve publishing houses, all of which rejected the manuscript. A year later she was finally given the green light (and a £1,500 advance) by editor Barry Cunningham from Bloomsbury, a publishing house in London. The decision to publish Rowling's book owes much to Alice Newton, the eight-year-old daughter of Bloomsbury's chairman, who was given the first chapter to review by her father and immediately demanded the next. Although Bloomsbury agreed to publish the book, Cunningham says that he advised Rowling to get a day job, since she had little chance of making money in children's books. Soon after, in 1997, Rowling received an £8,000 grant from the Scottish Arts Council to enable her to continue writing. The first four, sixth and seventh films were scripted by Steve Kloves; Rowling assisted him in the writing process, ensuring that his scripts did not contradict future books in the series. She told Alan Rickman (Severus Snape) and Robbie Coltrane (Hagrid) certain secrets about their characters before they were revealed in the books. Daniel Radcliffe (Harry Potter) asked her if Harry died at any point in the series; Rowling answered him by saying, "You have a death scene", thereby not explicitly answering the question. Director Steven Spielberg was approached to direct the first film, but dropped out. The press has repeatedly claimed that Rowling played a role in his departure, but Rowling stated that she had no say in who directed the films and would not have vetoed Spielberg. Rowling's first choice for the director had been Monty Python member Terry Gilliam, but Warner Bros. wanted a family-friendly film and chose Columbus. In September 2013, Warner Bros. announced an "expanded creative partnership" with Rowling, based on a planned series of films about Newt Scamander, author of Fantastic Beasts and Where to Find Them. The first film, scripted by Rowling, was released in November 2016 and is set roughly 70 years before the events of the main series. In 2016, it was announced that the series would consist of five films, with the second scheduled for release in November 2018. In 2004, Forbes named Rowling as the first person to become a U.S.-dollar billionaire by writing books, the second-richest female entertainer and the 1,062nd richest person in the world. Rowling disputed the calculations and said she had plenty of money, but was not a billionaire. The 2016 Sunday Times Rich List estimated Rowling's fortune at £600 million, ranking her as the joint 197th richest person in the UK. In 2012, Forbes removed Rowling from their rich list, claiming that her US$160 million in charitable donations and the high tax rate in the UK meant she was no longer a billionaire. In February 2013 she was assessed as the 13th most powerful woman in the United Kingdom by Woman's Hour on BBC Radio 4. On 26 December 2001, Rowling married Neil Michael Murray (born 30 June 1971), an anaesthetist, in a private ceremony at her home, Killiechassie House, near Aberfeldy. Their son, David Gordon Rowling Murray, was born on 24 March 2003. Shortly after Rowling began writing Harry Potter and the Half-Blood Prince, she ceased working on the novel to care for David in his early infancy. In July 2011, Rowling parted company with her agent, Christopher Little, moving to a new agency founded by one of his staff, Neil Blair. On 23 February 2012, his agency, the Blair Partnership, announced on its website that Rowling was set to publish a new book targeted at adults. In a press release, Rowling said that her new book would be quite different from Harry Potter. In April 2012, Little, Brown and Company announced that the book was entitled The Casual Vacancy and would be released on 27 September 2012. Rowling gave several interviews and made appearances to promote The Casual Vacancy, including at the London Southbank Centre, the Cheltenham Literature Festival, Charlie Rose and the Lennoxlove Book Festival. In its first three weeks of release, The Casual Vacancy sold over 1 million copies worldwide. Over the years, Rowling often spoke of writing a crime novel. In 2007, during the Edinburgh Book Festival, author Ian Rankin claimed that his wife spotted Rowling "scribbling away" at a detective novel in a café. Rankin later retracted the story, claiming it was a joke, but the rumour persisted, with a report in 2012 in The Guardian speculating that Rowling's next book would be a crime novel. In an interview with Stephen Fry in 2005, Rowling claimed that she would much prefer to write any subsequent books under a pseudonym, but she conceded to Jeremy Paxman in 2003 that if she did, the press would probably "find out in seconds". In April 2013, Little Brown published The Cuckoo's Calling, the purported début novel of author Robert Galbraith, who the publisher described as "a former plainclothes Royal Military Police investigator who had left in 2003 to work in the civilian security industry". The novel, a detective story in which private investigator Cormoran Strike unravels the supposed suicide of a supermodel, sold 1,500 copies in hardback (although the matter was not resolved as of 21 July 2013; later reports stated that this number is the number of copies that were printed for the first run, while the sales total was closer to 500) and received acclaim from other crime writers and critics—a Publishers Weekly review called the book a "stellar debut", while the Library Journal's mystery section pronounced the novel "the debut of the month". India Knight, a novelist and columnist for The Sunday Times, tweeted on 9 July 2013 that she had been reading The Cuckoo's Calling and thought it was good for a début novel. In response, a tweeter called Jude Callegari said that the author was Rowling. Knight queried this but got no further reply. Knight notified Richard Brooks, arts editor of the Sunday Times, who began his own investigation. After discovering that Rowling and Galbraith had the same agent and editor, he sent the books for linguistic analysis which found similarities, and subsequently contacted Rowling's agent who confirmed it was Rowling's pseudonym. Within days of Rowling being revealed as the author, sales of the book rose by 4,000%, and Little Brown printed another 140,000 copies to meet the increase in demand. As of 18 June 2013, a signed copy of the first edition sold for US$4,453 (£2,950), while an unsold signed first-edition copy was being offered for $6,188 (£3,950). In October 2015, Rowling announced via Pottermore, that a two part play she has co-authored with playwrights Jack Thorne and John Tiffany, Harry Potter and the Cursed Child, was the 'eighth Harry Potter story' and that it would focus on the life of Harry Potter's youngest son Albus after the epilogue of Harry Potter and the Deathly Hallows. On 28 October 2015, the first round of tickets went on sale and sold out in several hours. In 2001, the UK anti-poverty fundraiser Comic Relief asked three best-selling British authors – cookery writer and TV presenter Delia Smith, Bridget Jones creator Helen Fielding, and Rowling – to submit booklets related to their most famous works for publication. Rowling's two booklets, Fantastic Beasts and Where to Find Them and Quidditch Through the Ages, are ostensibly facsimiles of books found in the Hogwarts library. Since going on sale in March 2001, the books have raised £15.7 million for the fund. The £10.8 million they have raised outside the UK have been channelled into a newly created International Fund for Children and Young People in Crisis. In 2002 Rowling contributed a foreword to Magic, an anthology of fiction published by Bloomsbury Publishing, helping to raise money for the National Council for One Parent Families. In 2005, Rowling and MEP Emma Nicholson founded the Children's High Level Group (now Lumos). In January 2006, Rowling went to Bucharest to highlight the use of caged beds in mental institutions for children. To further support the CHLG, Rowling auctioned one of seven handwritten and illustrated copies of The Tales of Beedle the Bard, a series of fairy tales referred to in Harry Potter and the Deathly Hallows. The book was purchased for £1.95 million by on-line bookseller Amazon.com on 13 December 2007, becoming the most expensive modern book ever sold at auction. Rowling gave away the remaining six copies to those who have a close connection with the Harry Potter books. In 2008, Rowling agreed to publish the book with the proceeds going to Lumos. On 1 June 2010 (International Children's Day), Lumos launched an annual initiative – Light a Birthday Candle for Lumos. In November 2013, Rowling handed over all earnings from the sale of The Tales of Beedle the Bard, totalling nearly £19 million. In July 2012, Rowling was featured at the 2012 Summer Olympics opening ceremony in London where she read a few lines from J. M. Barrie's Peter Pan as part of a tribute to Great Ormond Street Hospital for Children. An inflatable representation of Lord Voldemort and other children's literary characters accompanied her reading. Rowling has contributed money and support for research and treatment of multiple sclerosis, from which her mother suffered before her death in 1990. In 2006, Rowling contributed a substantial sum toward the creation of a new Centre for Regenerative Medicine at Edinburgh University, later named the Anne Rowling Regenerative Neurology Clinic. In 2010 she donated a further £10 million to the centre. For reasons unknown, Scotland, Rowling's country of adoption, has the highest rate of multiple sclerosis in the world. In 2003, Rowling took part in a campaign to establish a national standard of care for MS sufferers. In April 2009, she announced that she was withdrawing her support for Multiple Sclerosis Society Scotland, citing her inability to resolve an ongoing feud between the organisation's northern and southern branches that had sapped morale and led to several resignations. In May 2008, bookseller Waterstones asked Rowling and 12 other writers (Sebastian Faulks, Doris Lessing, Lisa Appignanesi, Margaret Atwood, Lauren Child, Richard Ford, Neil Gaiman, Nick Hornby, Michael Rosen, Axel Scheffler, Tom Stoppard and Irvine Welsh) to compose a short piece of their own choosing on a single A5 card, which would then be sold at auction in aid of the charities Dyslexia Action and English PEN. Rowling's contribution was an 800-word Harry Potter prequel that concerns Harry's father, James Potter, and godfather, Sirius Black, and takes place three years before Harry was born. The cards were collated and sold for charity in book form in August 2008. On 1 and 2 August 2006, she read alongside Stephen King and John Irving at Radio City Music Hall in New York City. Profits from the event were donated to the Haven Foundation, a charity that aids artists and performers left uninsurable and unable to work, and the medical NGO Médecins Sans Frontières. In May 2007, Rowling pledged a donation reported as over £250,000 to a reward fund started by the tabloid News of the World for the safe return of a young British girl, Madeleine McCann, who disappeared in Portugal. Rowling, along with Nelson Mandela, Al Gore, and Alan Greenspan, wrote an introduction to a collection of Gordon Brown's speeches, the proceeds of which were donated to the Jennifer Brown Research Laboratory. After her exposure as the true author of The Cuckoo's Calling led a massive increase in sales, Rowling announced she would donate all her royalties to the Army Benevolent Fund, claiming she had always intended to, but never expected the book to be a bestseller. Rowling is a member of both English PEN and Scottish PEN. She was one of 50 authors to contribute to First Editions, Second Thoughts, a charity auction for English PEN. Each author hand annotated a first edition copy of one of their books: In Rowling's case, Harry Potter and the Philosopher's Stone. The book was the highest selling lot of the event and fetched £150,000 ($228,600). In September 2008, on the eve of the Labour Party Conference, Rowling announced that she had donated £1 million to the Labour Party, and publicly endorsed Labour Prime Minister Gordon Brown over Conservative challenger David Cameron, praising Labour's policies on child poverty. Rowling is a close friend of Sarah Brown, wife of Gordon Brown, whom she met when they collaborated on a charitable project for One Parent Families. In June 2016, Rowling campaigned against the Referendum to leave the European Union, stating on her website that, "I'm the mongrel product of this European continent and I'm an internationalist. I was raised by a Francophile mother whose family was proud of their part-French heritage. My French ancestors lived in the troubled province of Alsace, which spent hundreds of years being alternately annexed by Germany and France. I've lived in France and Portugal and I've studied French and German. I love having these multiple allegiances and cultural associations. They make me stronger, not weaker. I glory in association with the cultures of my fellow Europeans. My values are not contained or proscribed by borders. The absence of a visa when I cross the channel has symbolic value to me. I might not be in my house, but I'm still in my hometown." Over the years, some religious people, particularly Christians, have decried Rowling's books for supposedly promoting witchcraft. Rowling identifies as a Christian, and attended a Church of Scotland congregation while writing Harry Potter. Her eldest daughter, Jessica, was baptised there. She once said, "I believe in God, not magic." Early on she felt that if readers knew of her Christian beliefs they would be able to predict her plot line. In 2007, Rowling described having been brought up in the Church of England. She said she was the only one in her family who regularly went to church. As a student she became annoyed at the "smugness of religious people" and worshipped less often. Later, she started to attend again at a church in Edinburgh. Rowling has received honorary degrees from St Andrews University, the University of Edinburgh, Edinburgh Napier University, the University of Exeter which she attended, the University of Aberdeen and Harvard University, for whom she spoke at the 2008 commencement ceremony. In 2009 Rowling was made a Chevalier de la Légion d'honneur by French President Nicolas Sarkozy. ↑ Flood, Alison (17 June 2008). "Potter tops 400 million sales". The Bookseller. Retrieved 12 September 2008. ↑ Billington, Alex (9 December 2010). "Exclusive Video Interview: 'Harry Potter' Producer David Heyman". firstshowing.net. Retrieved 29 December 2010. ↑ "Warner Bros. Pictures Worldwide Satellite Trailer Debut: Harry Potter and the Deathly Hallows Part 1". Businesswire. 2010. Retrieved 29 December 2010. 1 2 3 Shapiro, Marc (2000). J.K. Rowling: The Wizard Behind Harry Potter. New York: St. Martin's Press. ISBN 0-312-32586-X. ↑ Flood, Alison (17 February 2014). "J.K. Rowling to publish second novel as Robert Galbraith". The Guardian. Retrieved 29 April 2014. ↑ Farr, Emma-Victoria (3 October 2012). "J.K. Rowling: Casual Vacancy tops fiction charts". The Daily Telegraph. London. Retrieved 4 October 2012. 1 2 "Sir Arnold Clark 'first billionaire car dealer'". BBC News. 24 April 2016. Retrieved 1 August 2016. ↑ Pearse, Damien (11 October 2010). "Harry Potter creator J.K. Rowling named Most Influential Woman in the UK". The Guardian. London. Retrieved 11 October 2010. 1 2 Rowling, J.K. (16 February 2007). "The Not Especially Fascinating Life So Far of J.K. Rowling". Accio Quote (accio-quote.org). Retrieved 28 April 2008. ↑ "Jo Rowling Interview on Oprah". The Oprah Winfrey Show. 2010-10-01. Event occurs at 1:50. Archived from the original on 19 December 2011. Retrieved 28 January 2012. 1 2 "Judge rules against J.K. Rowling in privacy case". Guardian Unlimited. 7 August 2007. Retrieved 21 August 2007. 1 2 3 4 Greig, Geordie (10 January 2006). "There would be so much to tell her ...". Daily Telegraph. Retrieved 8 August 2010. ↑ "Witness statement of Joanne Kathleen Rowling" (PDF). The Leveson Inquiry. November 2011. Retrieved 25 November 2011. 1 2 3 4 5 6 7 8 9 10 11 12 13 14 Parker, Ian (1 October 2012). "Mugglemarch: J.K. Rowling writes a realist novel for adults". The New Yorker. Retrieved 23 September 2012. 1 2 Smith, Sean (2003), J.K. Rowling: A Biography (Michael O'Mara, London), p. 55. ↑ Hutchinson, Lynne (6 September 2012). "Concerns raised about future of former Chipping Sodbury cottage hospital site". Gazette Series. Gloucestershire, UK. Retrieved 1 October 2012. 1 2 3 4 5 6 7 8 9 "Biography". JKRowling.com. Retrieved 17 March 2006. 1 2 3 4 5 6 7 8 9 10 11 12 13 14 McGinty, Stephen (16 June 2003). "The J.K. Rowling Story". The Scotsman. Retrieved 9 April 2006. ↑ "J.K. Rowling's ancestors on ScotlandsPeople". ScotlandsPeople. Retrieved 27 September 2011. ↑ Powell, Kimberly. "J.K. Rowling Family Tree". About.com. Retrieved 1 November 2014. 1 2 Keaten, Jamey (3 February 2009). "France honors Harry Potter author Rowling". USA Today. Associated Press. Retrieved 7 November 2010. ↑ "Happy birthday J.K. Rowling – here are 10 magical facts about the 'Harry Potter' author [Updated]". Los Angeles Times. 31 July 2010. Retrieved 8 August 2010. 1 2 Fraser, Lindsey (2 November 2002). "Harry Potter – Harry and me". The Scotsman. Interview with Rowling, edited excerpt from Conversations with J.K. Rowling. ↑ Loer, Stephanie (18 October 1999). "All about Harry Potter from quidditch to the future of the Sorting Hat". The Boston Globe. ↑ "JK Rowling awarded honorary degree". Daily Telegraph. London. 8 July 2004. Retrieved 9 August 2012. 1 2 Kirk, Connie Ann (2003). J.K. Rowling: A Biography. United States: Greenwood Press. ↑ Dunn, Elisabeth (30 June 2007). "From the dole to Hollywood". Daily Telegraph. London. Retrieved 8 August 2010. ↑ "JK Rowling – Biography on Bio.". Biographies.co.uk. Retrieved 26 December 2012. 1 2 "Harry Potter and Me". BBC Christmas Special. 28 December 2001. Transcribed by "Marvelous Marvolo" and Jimmi Thøgersen. Quick Quotes Quill.org. Retrieved 17 March 2006. ↑ Damien Henderson (2007). "How JK Rowling has us spellbound". The Herald. Retrieved 6 July 2010. ↑ Lawless, John (3 July 2005). "Revealed: The eight-year-old girl who saved Harry Potter". The New Zealand Herald. Retrieved 6 October 2011. 1 2 3 "Harry Potter awards". Bloomsbury Publishing House. Retrieved 30 July 2013. 1 2 "Potter sales record". Reuters/PRNewswire. 11 July 2000. Retrieved 25 October 2007. ↑ Rowling, J. K. "J.K.Rowling Official Site". Archived from the original on 22 July 2011. Retrieved 15 August 2011. 1 2 3 Harry Potter finale sales hit 11 m. BBC News. 23 July 2007. Retrieved 27 July 2007. ↑ "Rowling to kill two in final book". London: BBC News. 27 June 2006. Retrieved 24 March 2010. 27 June 2006. Retrieved 25 July 2007. ↑ Harry Potter, the $15 billion man. Advertising Age. Retrieved 7 November 2007. ↑ Pauli, Michelle. "June date for Harry Potter 5". The Guardian (London); "Potter 'is fastest-selling book ever". BBC News. Retrieved 4 August 2007. ↑ Associated, By (29 June 2007). "Final Harry Potter is expected to set record". The Boston Globe. 29 June 2007. Retrieved 29 June 2007. 1 2 Harry Potter release dates. Box Office Mojo. Retrieved 25 October 2007. ↑ Spelling, Ian. Yates Confirmed For Potter VI. Sci Fi Wire. 3 May 2007. Archived 5 May 2007 at the Wayback Machine. ↑ Jeff Boucher (13 March 2008). "Final 'Harry Potter' book will be split into two movies". Los Angeles Times. Retrieved 13 March 2008. ↑ "WB Sets Lots of New Release Dates!". Comingsoon.net. 24 February 2009. Retrieved 1 August 2010. ↑ J.K. Rowling on 'Today' part 2: what Daniel Radcliffe knew, the final line (with video). Times Herald-Record. 27 July 2007. Retrieved 21 August 2007. 1 2 3 Warner Bros. Pictures mentions J. K. Rowling as producer. Business Wire. 22 September 2010. Retrieved on 29 September 2011. ↑ "Outstanding British Contribution to Cinema in 2011 – The Harry Potter Films". British Academy of Film and Television Arts. 2011. Retrieved 3 February 2011. 1 2 "Warner Bros. Announces Expanded Creative Partnership with J.K. Rowling". Business Wire. 22 September 2010. Retrieved 12 September 2013. ↑ "JK Rowling plans five Fantastic Beasts films". BBC. 27 November 2016. ↑ "J.K. Rowling: Billionaire to millionaire". The New Zealand Herald. 12 March 2012. Retrieved 16 January 2013. ↑ "BBC Radio 4, Woman's Hour Power list". BBC. Retrieved 1 November 2014. ↑ Collinson, Patrick. "Rub shoulders with Brucie for £4.3m, or Tony for £7,250". The Guardian (London). 26 April 2005. Retrieved 29 October 2007. ↑ "Baby joy for JK Rowling". BBC News. London. 24 March 2003. Retrieved 24 March 2010. 1 2 Morrison, Jenny (23 April 2004). "Chancellor's daughter remembered at christening service". The Scotsman. Edinburgh. Retrieved 16 April 2010. 1 2 "Biography". J.K. Rowling.com. Retrieved 8 June 2013. 1 2 3 Carrell, Severin (11 June 2014). "JK Rowling donates £1m to Scotland's anti-independence campaign". theguardian.com. Guardian News and Media. Retrieved 11 June 2014. ↑ Charlotte Williams (2011). "Rowling leaves Christopher Little Agency". thebookseller.com. Retrieved 4 July 2011. ↑ Little, Brown & Company (2012). "The Casual Vacancy". Retrieved 13 April 2012. ↑ "JK Rowling launches new novel at Southbank Centre". The Londonist. Retrieved 2 August 2012. ↑ "JK Rowling to appear at Cheltenham Literature Festival". BBC News. 1 August 2012. Retrieved 2 August 2012. ↑ "An hour with J. K. Rowling". Charlie Rose LLC. 19 October 2012. Retrieved 26 October 2012. ↑ "J.K. Rowling | Lennoxlove Book Festival". Lennoxlove Book Festival. Retrieved 29 December 2012. ↑ "After Strong Start, J.K. Rowling's 'The Casual Vacancy' Falls on Charts". The Wall Street Journal. 2012. Retrieved 8 November 2012. ↑ "Rowling's Casual Vacancy to become BBC TV drama series". BBC. 3 December 2012. ↑ Singh, Anita (3 December 2012). "JK Rowling's The Casual Vacancy to be BBC drama". The Daily Telegraph. London. Retrieved 3 December 2012. ↑ "J.K. Rowling writing crime novel, says report". CBC News. Retrieved 13 July 2013. ↑ Lea, Richard (20 August 2007). "Rowling's 'crime novel' is a red herring". The Guardian. London. Retrieved 13 July 2013. ↑ Flood, Alison (24 February 2012). "JK Rowling's new book: clues suggest a turn to crime fiction". The Guardian. London. Retrieved 13 July 2013. 1 2 Richard Brooks (14 July 2013). "Whodunnit? J. K. Rowling's Secret Life As A Wizard Crime Writer Revealed". The Sunday Times. p. 1. 1 2 Beth Carswell (18 July 2013). "More on The Cuckoo's Calling – Signed First Sells for $4,453". AbeBooks.com. AbeBooks, Inc. Retrieved 20 July 2013. ↑ Osley, Richard (14 July 2013). "The Cuckoo's Calling, by 'Robert Galbraith': JK Rowling's secret bestseller". The Independent. London. Retrieved 14 July 2013. ↑ "The Cuckoo's Calling". Publishers Weekly. Retrieved 13 July 2013. ↑ "Mystery Reviews". Library Journal. Retrieved 13 July 2013. 1 2 3 4 Maxine Frith (16 July 2013). "Harry Plotter?". The Evening Standard. pp. 20–21. 1 2 Lyall, Sarah (14 July 2013). "This Detective Novel's Story Doesn't Add Up". The New York Times. Retrieved 14 July 2013. 1 2 James Meikle (18 July 2013). "JK Rowling directs anger at lawyers after secret identity revealed". The Guardian. London. Retrieved 19 July 2013. ↑ Watts, Robert (13 July 2013). "JK Rowling unmasked as author of detective novel writing under nom de-plume". The Daily Telegraph. London. Retrieved 13 July 2013. ↑ Liz Bury (25 July 2013). "JK Rowling tells story of alter ego Robert Galbraith". The Hindu. Chennai, India: Guardian News Service. Retrieved 25 July 2013. ↑ Nick Clark (14 July 2013). "'I turned down 'Robert Galbraith': Editor admits rejecting JK Rowling's secret novel". The Independent. Retrieved 4 April 2016. 1 2 Goldsmith, Belinda. "Real-life mystery of JK Rowling's 'secret' novel uncovered". Reuters. trust.org. Retrieved 18 July 2013. ↑ Meikle, James (18 July 2013). "JK Rowling directs anger at lawyers after secret identity revealed". The Guardian. London. Retrieved 18 July 2013. ↑ "Rowling accepts compensation for identity revelation". The Hindu. Chennai, India. 31 July 2013. Retrieved 31 July 2013. ↑ Charles Poladian (17 February 2014). "J.K. Rowling Returns As Robert Galbraith For New Cormoran Strike Novel, 'The Silkworm,' Plot Summary And Release Date". Retrieved 19 March 2014. ↑ Rowling, J,K. "About Robert Galbraith". Robert Galbraith. Retrieved 15 March 2015. ↑ Wilken, Selina (11 June 2015). "J.K. Rowling helps out Robert Galbraith, unveils 'Career of Evil' cover and publication date". Hypable. Retrieved 11 June 2015. ↑ David L. Ulin. "J.K. Rowling brings magic touch to U.S.". Los Angeles Times. Archived from the original on 19 October 2007. 16 October 2007. Retrieved 30 October 2007. ↑ Singh, Anita (16 June 2011). "JK Rowling launches Pottermore Website". The Daily Telegraph. London. Retrieved 4 July 2011. ↑ Flood, Alison (23 June 2011). "Pottermore website launched by JK Rowling as 'give-back' to fans". The Guardian. London. Retrieved 4 July 2011. ↑ "Pottermore - Cursed Child is the 'eighth Potter story'". Pottermore. 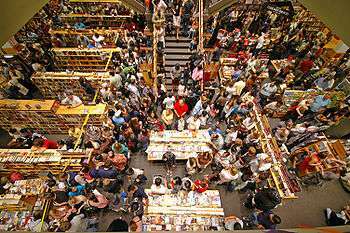 ↑ "First batch of Harry Potter and the Cursed Child tickets sell out". BBC News. Retrieved 30 October 2015. ↑ Memmott, Carol. A fond look back at Harry. USA Today. 25 July 2007. Retrieved 26 July 2007. ↑ J K Rowling becomes President of One Parent Families. 16 November 2004. Retrieved 20 October 2007. Archived 6 November 2007 at the Wayback Machine. ↑ Comic Relief, The Money, Archived 29 October 2007 at the Wayback Machine. ↑ Magic (foreword by JK Rowling). Bloomsbury Publishing, 2002 (ISBN 0747557462). 1 2 3 Rare JK Rowling book fetches £2m. BBC News. 13 December 2007. Retrieved 13 December 2007. ↑ Lumos (10 May 2010). "Light a Birthday Candle". Archived from the original on 12 April 2012. Retrieved 17 August 2013. Archived at Wayback Engine. ↑ "The Season of Giving – The Millionaire Donations that Defined 2013". Spear's. Retrieved 30 December 2013. ↑ "Rupert Grint Runs in Olympic Torch Relay, JK Rowling in Opening Ceremony". The Leaky Cauldron. Retrieved 28 July 2012. ↑ "J K Rowling marks start for clinic". University of Edinburgh. Retrieved 15 December 2011. ↑ "J.K. Rowling donates £10m to multiple sclerosis clinic". AFP. 2010. Retrieved 30 August 2010. 1 2 Andy McSmith (10 April 2009). "Rowling quits multiple sclerosis charity over Anglo-Scottish feud". The Independent. UK. Retrieved 20 April 2009. ↑ Williams, Rachel (29 May 2008). "Rowling pens Potter prequel for charities". The Guardian. London. Retrieved 5 May 2010. ↑ Madeleine Davies (2013). "J.K. Rowling to Donate All Royalties From Her Secret Novel to Charity". jezebel.com. Retrieved 27 June 2014. ↑ Sharp, Robert (22 May 2013). "Highlights from the First Editions, Second Thoughts auction". English PEN. Retrieved 6 October 2016. ↑ "toe-by-toe.co.uk". toe-by-toe.co.uk. Retrieved 17 November 2011. ↑ "Online chat transcript, Scholastic.com, 3 February 2000". Accio Quote!. Retrieved 26 December 2012. ↑ "J.K. Rowling's bookshelf". O magazine. Retrieved 26 December 2012. ↑ "Early influences". J.K. Rowling's official website. Retrieved 26 December 2012. ↑ Ben Leach (20 September 2008). "Harry Potter author JK Rowling gives £1 million to Labour". The Daily Telegraph. London. Retrieved 20 September 2008. ↑ Cruz, Juan (8 February 2008). "Ser invisible... eso sería lo más". El País (in Spanish). Retrieved 8 February 2008. ↑ J. K. Rowling (14 April 2010). "The single mother's manifesto". The Times. UK. Retrieved 15 April 2010. ↑ Aitkenhead, Decca (22 September 2012). "JK Rowling: 'The worst that can happen is that everyone says, That's shockingly bad'". The Guardian. London. Retrieved 22 September 2012. ↑ "JK Rowling donates £1m to Scottish independence 'No' campaign and calls some nationalists 'Death Eaters'". The Independent. London. 12 June 2014. Retrieved 12 June 2014. ↑ Various (22 October 2015). "Israel needs cultural bridges, not boycotts – letter from JK Rowling, Simon Schama and others". The Guardian. UK. Retrieved 23 October 2015. ↑ "Cultural boycotts:=JK Rowling". Twitlong. UK. 26 October 2015. Retrieved 5 November 2015. ↑ JK Rowling (2016). "On Monsters, Villains and the EU Referendum". jkrowling.com. Retrieved 2016-08-05. 1 2 Shawn Adler (2007). "Harry Potter Author J.K. Rowling Opens Up About Books' Christian Imagery". mtv. Retrieved 18 October 2007. ↑ Linton Weeks (1999). "Charmed, I'm Sure". The Washington Post. Retrieved 17 June 2007. ↑ "New Interview with J.K. Rowling for Release of Dutch Edition of "Deathly Hallows"". The Leaky Cauldron. 2007. Retrieved 15 November 2007. ↑ Hale, Mike (16 July 2009). "The Woman Behind the Boy Wizard". The New York Times. Retrieved 16 November 2010. ↑ "Rowling's Christian critics miss the mark". Retrieved 16 November 2010. ↑ Cruz, Juan (8 February 2008). "Ser invisible... eso sería lo más". El País (in Spanish). Edinburgh. Retrieved 9 February 2008. ↑ Presenter: Mark Lawson (27 September 2012). "J. K. Rowling". Front Row. Event occurs at 17:45. BBC Radio 4. Retrieved 27 September 2012. 1 2 Lisa O'Carroll and Josh Halliday (24 November 2011). "Leveson inquiry: JK Rowling and Sienna Miller give evidence". The Guardian. London. Retrieved 22 September 2012. ↑ David Murray (by his litigation friends Neil Murray and Joanne Murray) v Big Pictures (UK) Limited  EWCA Civ 446 (7 May 2008). ↑ Lockerbie, Catherine. "All aboard the Hogwarts Express". The Scotsman. UK. 11 July 2000. Retrieved 30 October 2007. ↑ Roy Greenslade (31 January 2014). "JK Rowling sues Daily Mail for libel over 'single mother' article". The Guardian. Retrieved 19 March 2014. ↑ "About the Books: transcript of J.K. Rowling's live interview on Scholastic.com". Archived from the original on 16 December 2007. 16 October 2000. Retrieved 30 October 2007. ↑ O'Carroll, Lisa (14 September 2011). "Leveson phone-hacking inquiry: JK Rowling among 'core participants'". The Guardian. London. Retrieved 24 September 2011. 1 2 "JK Rowling tells Leveson inquiry of press intrusion". BBC. 24 November 2011. Retrieved 25 November 2011. 1 2 Richard Allen Greene (2011). "J.K. Rowling chased from home by press, she says". cnn.com. Retrieved 25 November 2011. ↑ Rowling, JK (30 November 2012). "I feel duped and angry at David Cameron's reaction to Leveson". The Guardian. London. Retrieved 3 December 2012. ↑ Szalai, Georg (18 March 2014). "Benedict Cumberbatch, Alfonso Cuaron, Maggie Smith Back U.K. Press Regulation". The Hollywood Reporter. Retrieved 19 March 2014. ↑ "Rowling seeks 'Grotter' ban". BBC News, 13 March 2003. Retrieved 21 March 2006." ↑ Jack Malvern; Richard Cleroux (13 July 2005). "Reading ban on leaked Harry Potter". The Times. London. Retrieved 13 March 2009. ↑ Michael Geist (18 July 2005). "Harry Potter and the Right to Read". Toronto Star. Retrieved 12 October 2007. ↑ Kirkpatrick, David D. (21 June 2003). "Publisher's Efforts to Keep Story's Secrets Collide With Free Speech Concerns". New York Times. Retrieved 8 August 2010. ↑ Pook, Sally (15 July 2000). "J K Rowling given honorary degree at her alma mater". The Daily Telegraph. Retrieved 5 May 2010. ↑ "Walters Names Rowling 'Most Fascinating' Of 2007". Access Hollywood. ↑ Alison Flood (10 April 2014). "JK Rowling to become Woman's Hour first guest editor for 60 years". The Guardian. Retrieved 7 May 2014.